Friday night I was at the Beer-Tron-a-Ton, the computer at the Flying Saucer that records what beers you’ve purchased. I’m down to the last 20 beers toward my fifth plate, and around that point it gets really hard to find anything good left to drink that isn’t massively expensive. 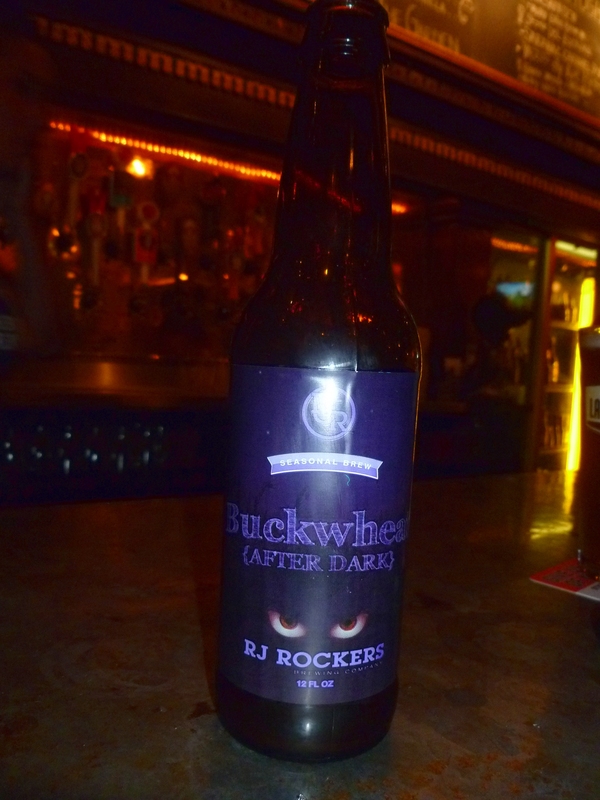 I remembered that one of the bartenders had told me I should try RJ Rocker’s Buckwheat (After Dark.) So I printed out a ticket for that one, handed it into the bartender, and they gave me a beer. Usually I’m not a big fan of dark beers, but this one wasn’t bad. I reasoned that it was the addition of buckwheat as an ingredient, although I really have no idea what buckwheat tastes like. Anytime I drink an unfamiliar craft beer, I like to examine the bottle’s label to see what information I can gather. Wow. Anyone who’s ever watched episodes of The Little Rascals/Our Gang knows why there are two eyes staring at you on the bottle. It’s a reference to the many times the lights would go out with Buckwheat (pictured above) on the screen. All you could see would be the whites of his eyes. 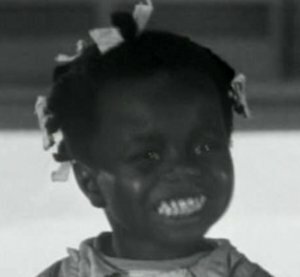 In 1936, when the episode I screen-capped the image above was produced, that kind of racial humor was accepted in society. Putting it on a beer bottle in 2011, though, is an odd choice. Further examination of the bottle revealed that the beer was brewed in Spartanburg, South Carolina. It figures the Buckwheat After Dark label would come from the heart of the Old South. When I was a corporate trainer in 1999, I taught a couple of week-long classes there, and can confirm that it is every bit as much of a shithole as you might suspect. Taste of the beer was not bad, but man… I just don’t know about that label. Wonder if they sell it at stores near Ole Miss? Bet it would be a big hit there. Just got up. Time to catch up with Twitter/Facebook and see what happened last night that I missed. After an excellent dinner at Bangkok Alley, my body was just screaming at me, “You must sleep… NOW.” So I went home and went to bed at 9. If I’m going to waste a Saturday night, I’d rather it would be in January than in a nice-weather month like April or May. Got 11 hours quality sleep and feel like a million dollars now. Bring on Sunday Fun Day! Next Next post: Public service announcement: A reminder to JUST SAY NO to karaoke!! !